An island where truth and fiction slumber. Revealing the past sheds light on the present. 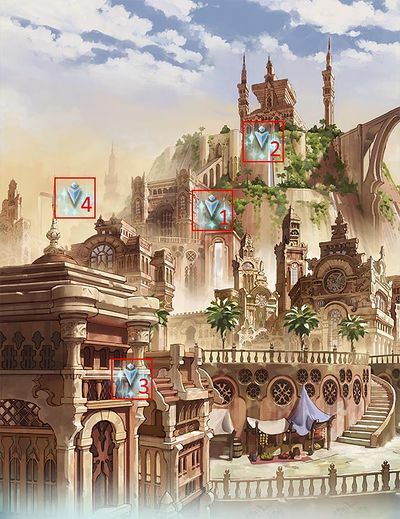 Former Capital Mephorash is the location for chapters 33-36, 63, 70-71, and 120-121 of the main quest. A desert island rich in history and abundant in ancient ruins. Dating back to before the Great War, it was once the capital of the Erste Kingdom. What was once the glorious mecca of golem industry has become a shadow if its former self with the advent of the primal beasts and their research. The land has slowly dwindled into obscurity, and its population has withered to less than a tenth of what it once was. A palace that served as home for members of the royal family since the founding of the old Erste Kingdom. Its architectural style is one of the oldest in Phantagrande Skydom. A simple yet resilient building that has weathered the millennia without losing its splendor. A city that retains the flavor of the old capital. Historically, Mephorash sprang up in the area surrounding the Palace of Elijah Chelm, and the people who live in the city are all imbued with reverence for the royal family members living in the Palace. An expansive desert surrounds the old city of Mephorash. It's said that all manner of forgotten buildings slumber beneath its sands. Occasionally, citizens have run into the ancient golems that protect these buildings. Be careful when traversing the area so that the same doesn't happen to you. Although most of Ravi Island is buried in sand, a few trees can be seen near the Palace of Elijah Chelm and the Shem Desert. Although most are indigenous to Ravi, a few trees of the same species as those seen in the depths of the Lumacie Archipelago can also be found here. A desert that watches over the end of history. History is written by those who dare to take a stand. A town bearing the scars of history. Nonetheless, its people greet travelers as if nothing happened. No Full Elixir can be used. Summons can't be used and its auras are disabled. Main Character is a Nekomancer equipping Kapilavastu Nyx, with 17000 HP. Duration: 180 seconds on all enemies. MoonshadowConvert your charge bar to MP. Splitting SpiritSacrifice 50% of current HP to increase charge bar by 3% for every 250 HP lost. A royal palace gilded with remnants of an ancient history. A long-hidden truth lies within. Lvl ?? Black Knight has changed stance! Earth damage to one ally.Verification needed. Random Wind damage to multiple allies.Verification needed. Remove buffs from allies.Verification needed. 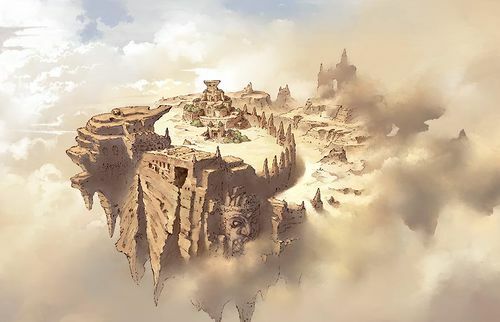 Location: Chapter 35 (63): Former Capital Mephorash - Palace of Elijah Chelm Start QuestNetwork Errors will appear if the hosting conditions are not met. 2-hit Earth damage to random allies. Multi-hit damage to random allies. ~20,000 Earth damage to one ally and remove all buffs. TR only: Removes all debuffs on self. Generally occurs around 90% and 50%.